Before kids were drinking from old pesticide containers. This article was contributed in support of Partners for Care and for packH2O. Women, men and children all over the world are deprived from reaching their full potential due to a lack of access to safe water in schools, the workplace and their communities. In many of the thousands of classrooms throughout Kenya, running water is not an option. Educators and students are required to provide water for personal needs from locations outside the school where water is often contaminated. This poses a number of problems for all, including time away from the class fetching water. Equally important, and an issue not often addressed, is the source of that water and how to transport and store it so that schools have a solution for safe drinking water in the class at all times. One organization has a vision to address that. Partners for Care is a Nairobi based nonprofit with a commitment to public health and a mission to enable sustainable change for Kenyan schools through safe water education. 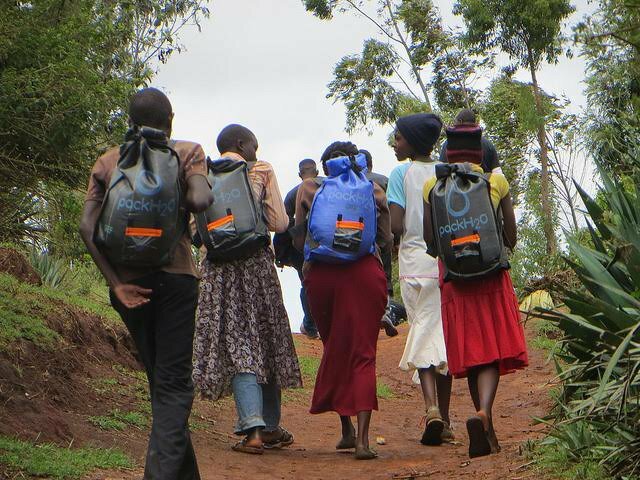 They are doing this through the introduction of the packH2O water backpack in classrooms across Kenya. “Too often we witnessed schools using re-purposed jerry cans and discarded plastic buckets to transport water to the class and saw those same containers being used to dispense water to the students. These containers once held pesticides, oils, or gasoline, and were now being used as dispensers for drinking water. Something had to change,” said Connie Cheren, CEO and Founder of Partners for Care. When Ms. Cheren and the team at Partners for Care discovered the packH2O water backpack, they knew they had the answer to safe water and a solution to introduce to schools. Partners for Care has distributed over 25,000 packs in Kenya to communities living in water stressed environments. According to Ms. Cheren, many of those packs are now being used in schools. Recently they launched their Packs for Kids program, which is designed to get a packH2O water backpack into every school where a pack can make a difference. “We have the passion to see every child has safe water drinking water. 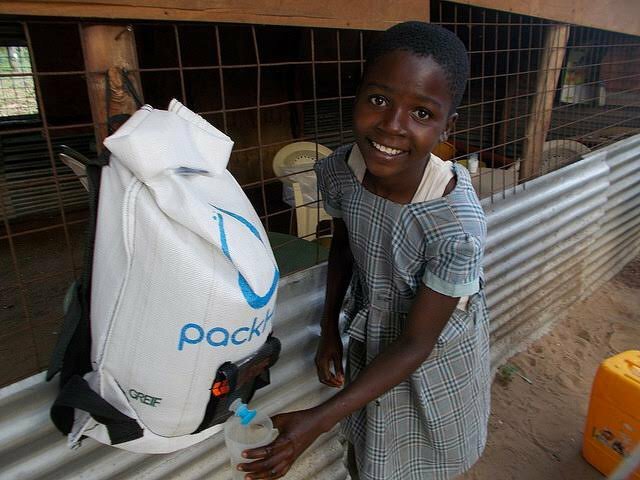 We know that the packH2O water backpack can make that goal a reality”, concluded Ms. Cheren. To learn more about Partners for Care, please visit www.partnersforcare.org. To see why the packH2O water backpack is the solution of choice for Partners for Care, please visit www.packH2O.com.